I know I keep banging on about it but - if you haven't yet signed up for it, do so folks it's a good buy. Interesting profiles and interviews each issue - current issue it's Danny Lewis of Saltash and Liskeard's Jack Podmore. Also referee Elliott Green. Plus all the statistics from around the leagues. Good value. As you say, it's well worth the money Pat and, tribute has to be paid to Dave for its compilation. Every issue is full of interest for any true lover of our local football in the Duchy. Thanks Keith - please keep banging on about it! You've got me there Dave. Easier way to make it available to the public - well, I guess people either like something tangible, like a magazine or they don't. I think folk spend too much time gazing at their i pads etc, and, to have a glossy publication full of interesting local football news, data, stats and profiles/interviews of and with players, is just great. 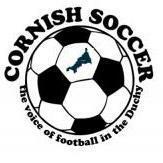 If you love your local football in Cornwall guys and girls - this publication is for you !